Commuting in, out or around New York City is always a challenge, no matter where in the NYC-Metropolitan area you happen to live. But for those living in upper Manhattan, the Bronx or Westchester, your daily commute to Midtown (or beyond) just got a lot easier. It’s called “Dyckman Park & Subway,” a beautiful, newly refurbished ParkFast facility conveniently located at 268 Dyckman Street in Inwood — right near the Dyckman Street & Broadway stop for the A train. For the incredibly low rates* as low as $150/month (Monday-Friday, 7AM-7PM) or $12/day (up to 12 hours), drivers can park their car at this secure location, hop on the A train and arrive in Midtown in a matter of minutes. It’s a win-win-win situation: save time, save gas, save money. And never worry about that awful Manhattan rush-hour traffic again! And for those of you who live right in the neighborhood, ParkFast provides a secure location for you and your vehicle at all times. And when work is over, the Dyckman Street ParkFast is the perfect place to park for a night at the wonderful “La Marina” restaurant and nightclub, which covers more than 75,000 square feet of Hudson River waterfront in Upper Manhattan. 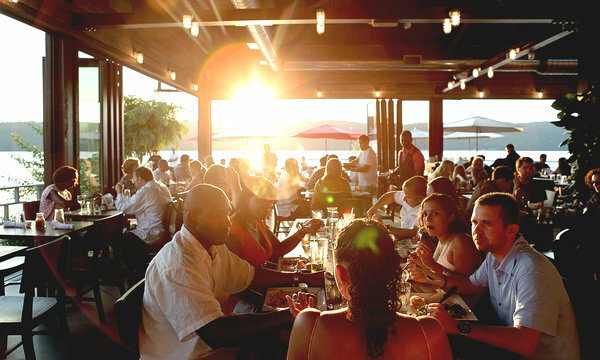 For more information and to make reservations, visit www.parkfast.com, or call 888-PARKFAST (727-5327). And while you’re at it, connect with us on Facebook, Twitter and Google Plus!